For Such As These: CLEARED!!! We have been cleared and have an embassy appointment of September 8!! I have been blessed by those of you who prayed for us! Friends all over the world encouraged us and kept us in your hearts and I so appreciate it! And..I cannot wait to get my arms around my son!! Please continue to pray for our journey (and just so you know..I hate to fly)…my 15 yr old Bekah is going with me (and just so you know…she hates to fly too) and I am excited to share Ethiopia with her! PS….For those of you still waiting..I came across this post on Sunday and it really touched me. It was real—and encouraged us to keep our eyes on Jesus. Hope it encourages you as well. PPS ….Don’t forget about Rachel’s Beefy Biscuits for her Horn of Africa famine fund. She has a good start and is very thankful for your orders. Want some? YAY!!! I am so excited for ya'll, Charisa!!! Praise God!!! 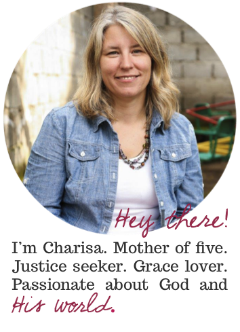 Wonderful news, Charisa! So thrilled for you. We'll be praying for you and Bekah next week!